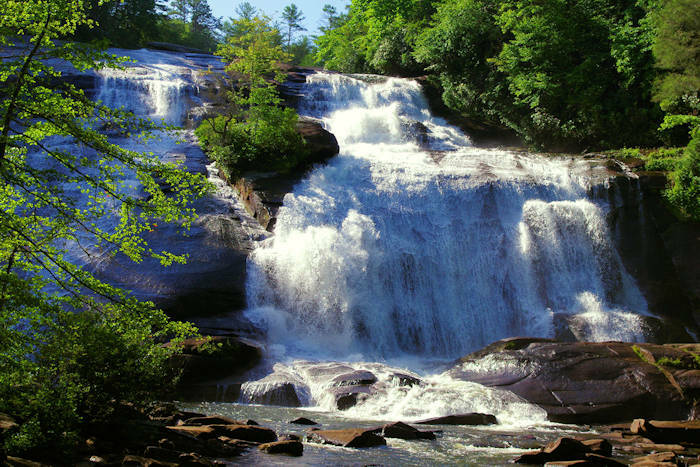 Enter to win an adventure trip to Brevard and the Land of the Waterfalls with a 2-night stay in a luxury mountaintop home and half day outdoor adventure trip for beginners. After you rappel down waterfalls, enjoy dinners for two and relax in grand style. See details and enter below! 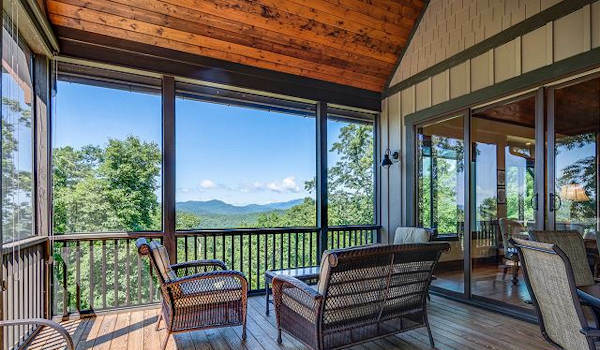 Stay two nights in the Oak Cottage or Maple Cottage atop Sutton Knob in Pisgah Forest. These brand new homes are custom built and feature mountain views and luxury furnishings. They sleep 4 people with 2 bedrooms and 2.5 bathrooms. Dogs are allowed. 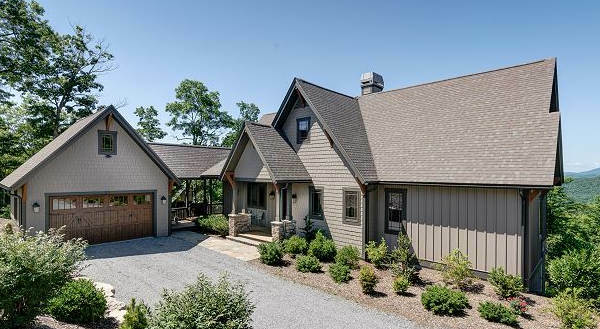 The homes are 15 minutes to downtown Brevard, 25 minutes to DuPont State Forest and 45 minutes to Biltmore. Wake up to mountains with views all around. The Master Bedroom has a King Bed, large walk-in shower and soaking tub. The guest bedroom has two queen beds. You'll even have a garage for storage of outdoor gear and toys. Deer Ridge Property management takes care of all the details for you. Take your half-day canyoneering or climbing trip with Pura Vida Adventures! 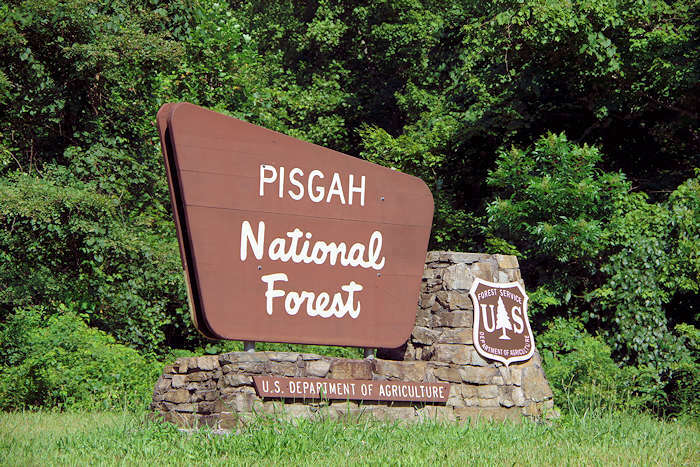 Their programs are a combination of climbing, rappelling, waterfalls, swimming holes and rock climbing. Their Cove Creek Canyon is a beginner experience. No prior climbing or rappelling experience needed. 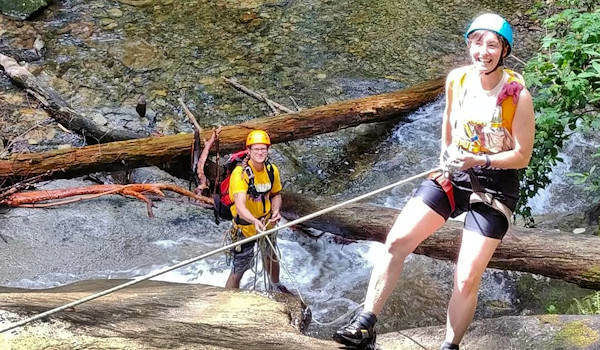 The trip includes a 75-foot waterfall rappel! The winner of this sweepstakes also wins dinner for two both evenings at some of Brevard's top restaurants. Also get a $250 gift card to spend on Main Street, home to a big variety of shops and galleries. 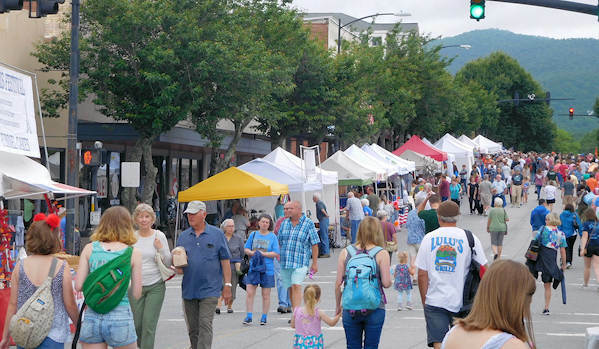 Go to our Brevard Guide for many things to do. Click here to enter on the Brevard Web site on April 1-15. There is no purchase necessary to enter or win. Contest ends on April 15, 2019. Vacation must be taken by Dec 31, 2019. Open only to legal residents living in the United States and Canada who are at least 18 years of age. See more fine print on their Web site. Click here to enter on the Brevard Web site.